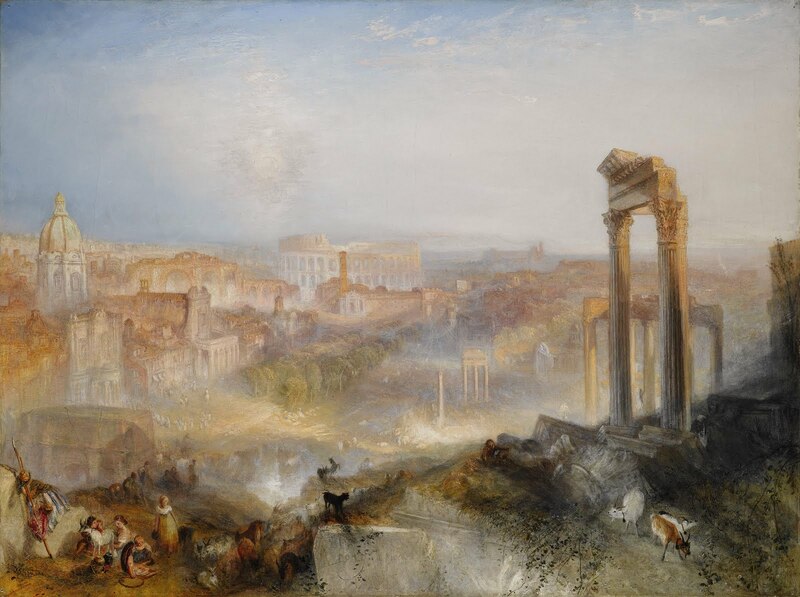 Illicit Cultural Property: Getty Secures Export License for "Modern Rome—Campo Vaccino"
This landscape by JMW Turner has been granted an export license from the UK Culture Ministry. The painting had been on display for the last thirty years at the National Galleries in Scotland, on loan from the Primrose family. 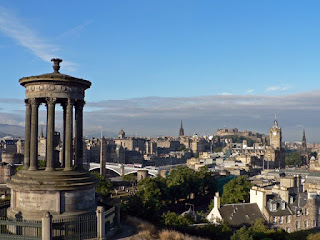 For me, the work fit well in Edinburgh, echoing nicely that city's neoclassical architecture. It was always one of my favorites, a reason to stop in to Scotland's national gallery. Turner's depictions of classical ruins and renaissance buildings echoed Edinburgh's own neoclassical features. Now the work is on its way to Los Angeles. But “Modern Rome” is coming, perhaps a sign that at a time of austerity in Great Britain, a domestic arts economy that's far more reliant on government funding than in the United States could not muster the wherewithal to take the painting away from the privately and lavishly endowed Getty. In 2004, according to a BBC report, the British government anted up more than half the money to match the Getty's bid for "Madonna of the Pinks," tapping a fund from lottery receipts that's earmarked for cultural purposes. Mike Boehm, Getty Museum's $44.9-million purchase of J.M.W. Turner masterpiece is final as sale clears U.K. export hurdle, LA Times Culture Monster, February 3, 2011, http://latimesblogs.latimes.com/culturemonster/2011/02/getty-jmw-turner-masterpiece.html (last visited Feb 4, 2011). It was never likely that anyone would pay to keep the Turner in Britain, though the Tate could have done so (keeping it with its companion picture in the Turner Bequest) if it had used the £25 million it got from the insurance deal over the two Turners stolen in 1994 instead of spending that on other purposes, illegitimately according to some legal opinion.